“You need a better website,” they said. “You need a better position for SEO (search engine optimization, as was explained to me),” they said. “You need professional pictures for the website,” they said. “It will be fun,” they said. So, we started researching web designers to see just who we would most like to share all of this fun with. We found a nifty company named Evol Empire Creative, and the work began. I never guessed how much work this was going to be. For the other couple of websites we had, I just let someone else ‘do it’ without any input from me until it was time to publish online. That was usually paired with an oh-so-unsure… “yes, I think this will work.” Frankly, none were all that successful. Working with Evol, I am glad we decided to take the plunge and work with a professional company. After the first meetings, I knew this was going to be a team effort that included us and the vision we had regarding what our website should look like and how it should perform. That artistic vision is something that’s very important in our industry, since artistry is at the heart of crafting beautiful jewelry. 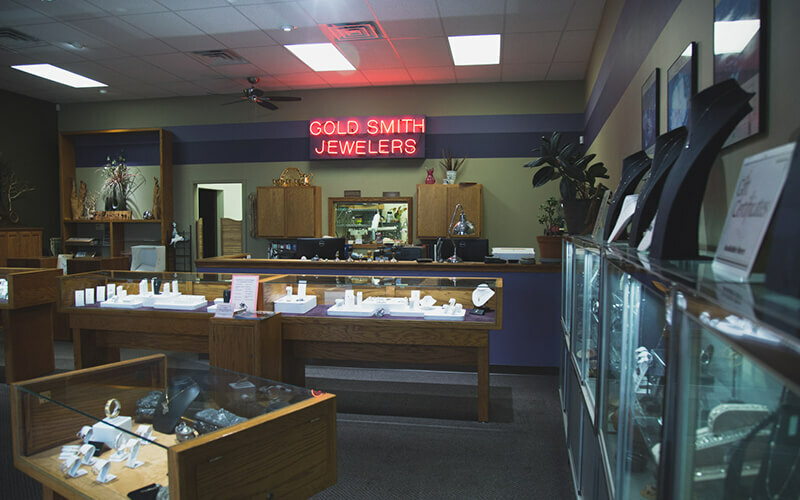 We are thrilled to be expanding our website to better represent Gold Smith Jewelers, showcase our jewelry, and allow for increased communication with both current and potential customers. I am very excited for what this finished website will mean in the future. As I write this, the launch is still many moons away, because, after all, Rome wasn’t built in a day (plus, I ran into the Christmas Holiday season which made me unavailable for meetings). But, we will get there, and we know that, in the end, all this struggle is worth it to provide the online services our customers deserve.